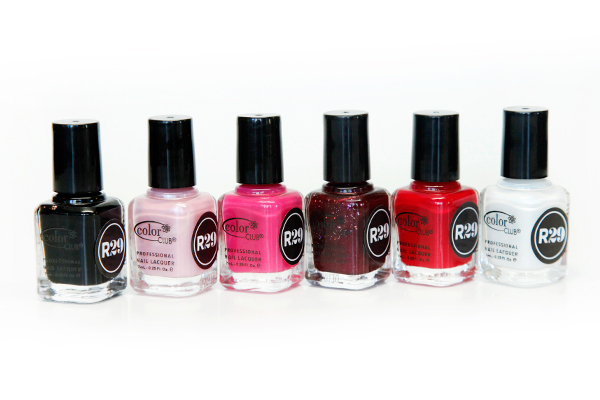 @Refinery29 has teamed up with the Color Club to create their own branded line of nail polishes. All the polishes make up the DIY nail kit they’ve called “Girl Crush.” The DIY kit was created because of the huge amount of love they received over the DIY nail series that was on the site. The launch of Girl Crush reflects the joining of content and commerce into one pretty little package. The kit will be limited edition and only a limited amount will be made, for exclusivity. For $29, you’ll receive six bottles of polish, a nail art brush, and a DIY guide. These polishes are, of course, made in the USA, the high quality Refinery29 “Girl Crush” nail colors are vegan, Formaldehyde, Toluene, DBP and paraben-free and made with the best raw materials. We wouldn’t expect any less from Refinery29, right?